Last week, after Christine Blasey Ford went public with an allegation that Brett Kavanaugh sexually assaulted her at a party in high school, the Yale Daily News published an old photograph that directed scrutiny to the Supreme Court nominee’s college years. In the black-and-white image, two brothers of the Delta Kappa Epsilon fraternity march across Yale’s campus in an initiation rite, one of them carrying a flag fashioned from women’s lingerie. As the university prepared an investigation into dke’s transgressions, the Yale chapter of the fraternity released a set of guidelines designed to foster a “safer and more welcoming environment.” They would deputize co-ed bouncers and so-called sober monitors to maintain safety standards at gatherings. Water coolers would remain filled. Three-second pauses between songs would better allow guests to “avoid uncomfortable interactions.” At the same time, dkequieted down. Few female sports teams, and fewer sororities, agreed to mix with them. The fraternity refrained from advertising parties, seeming to sense that it might have trouble attracting guests, though it continued to host an annual celebration known as Tang, a raucous and muddy affair held after classes ended each spring. This past year, hundreds of students signalled on Facebook their plans to attend, but similar numbers gravitated toward a rival event hosted by Engender, a student group that advocates for greater inclusion in fraternities. Engender brainstormed a hashtag—#boycottdke—and sent activists to distribute safety flyers outside the fraternity’s houses. “In the wake of campus conversations about supporting survivors and denouncing sexual misconduct, partying is political,” the group wrote on a Facebook page for the event. This summer, dke lost its lease on the pair of buildings it has occupied for more than two decades. The fraternity’s real-estate manager, himself an alumnus of Yale, told the student paper that the decision not to renew was a consequence of years of disruptive behavior and complaints of misconduct. Many current students cheer, and others lament, that “dke is dead.” (In an e-mail, Doug Lanpher, dke’s national executive director, told me, “We do not tolerate sexual misconduct in any form. Any member who is found responsible for violating Title IX rules on sexual misconduct is immediately removed from the chapter.”) The demise of dke on Yale’s campus is just one sign that the “horseplay” typical of fraternity life has become increasingly incompatible with many of the values—of safety, equality, inclusion—toward which most modern universities strive. Many of my peers, though suspicious of dke, find it no more hostile than other fraternities at Yale. In 2015, for instance, Sigma Alpha Epsilon (since rebranded as Leo), faced accusations of turning away students of color from a party and repeatedly shouting, “White girls only.” That fraternity, much like dke, had previously been banned from campus as a punishment for violating the university’s sexual-misconduct policy at an initiation ceremony and then trying to impede the resulting investigation. On Monday, some classes at the Yale Law School were cancelled to allow students to protest Kavanaugh’s nomination. Hundreds of law students travelled to D.C. Others remained in New Haven to mount a local demonstration. For many, the topic feels personal: one of the law school’s top professors, Amy Chua, has been accused of coaching female students on their appearances to help them win clerkships with Kavanaugh. (Chua has called the claims “100% false.”) Her husband and colleague at the law school, Jed Rubenfeld, is the subject of an ongoing internal investigation at Yale, whose details are confidential. (“For some years, I have contended with personal attacks and false allegations in reaction to my writing on difficult and controversial but important topics in the law,” Rubenfeld told the Guardian. “I have reason to suspect I am now facing more of the same.”) By the afternoon, a dozen or so demonstrators still lingered in the law school’s main hall, wearing black as a sign of solidarity and drinking coffee from paper cups. “I would say that this community feels very strongly that Kavanaugh should not be confirmed under these circumstances,” one told me. Among undergraduates, reactions have been more subdued. “People here grapple constantly with this place’s legacy of untouchable rich white dudes from prep school,” Alexa Derman, a senior, told me. When the news reveals that one such dude “might have been a creep at Yale,” she added, “it doesn’t shatter any illusions.” On Monday, an open letter from alumnae who stand in support of Ramirez—and Ford—began to circulate online. “We are coming forward as women of Yale because we have a shared experience of the environment that shaped not only Judge Kavanaugh’s life and career, but our own,” it said. Brett Kavanaugh, like many men of his generation, is a product of an era in which fraternities were incubators of ambition. Five American Presidents, including the Yale alumni George H. W. Bush and George W. Bush, once belonged to dke. (In the satirical biopic “W.,” about the life of the younger Bush, the head of the fraternity is shown telling incoming freshmen, during a beer-drenched initiation ritual, “Delta Kappa brothers are men of honor, decency, and God-given character. That, along with our family fortunes, is why we rule the world.”) This reality, too, may be changing. Two years ago, Harvard made the historic and controversial decision to penalize single-gender social clubs and Greek organizations by banning their members from serving as the captains of athletic teams, leading official student groups, or receiving the university’s endorsement for top postgraduate fellowships such as the Marshall and Rhodes. Yale’s college dean, Marvin Chun, has established a committee to advise him on the regulation of campus social life, but has so far taken no similar steps. (“We have students who say we should be like Harvard, and we have many students who say we should not be like Harvard,” Chun told the Yale Daily News, earlier this year. “I have not formed an opinion strongly. I’m in listening mode.” In an e-mail on Tuesday, Chun told me, “We haven’t reached any decisions regarding Yale’s policies.”) Some of my classmates who are in dke, particularly the seniors, now distance themselves from the fraternity, admitting that being a member is a “bad look.” It is not hard to imagine a future in which membership in such a community—even one that purports to champion, as dkedoes, “the gentleman, the scholar, and the jolly good fellow”—is not an asset but a liability. 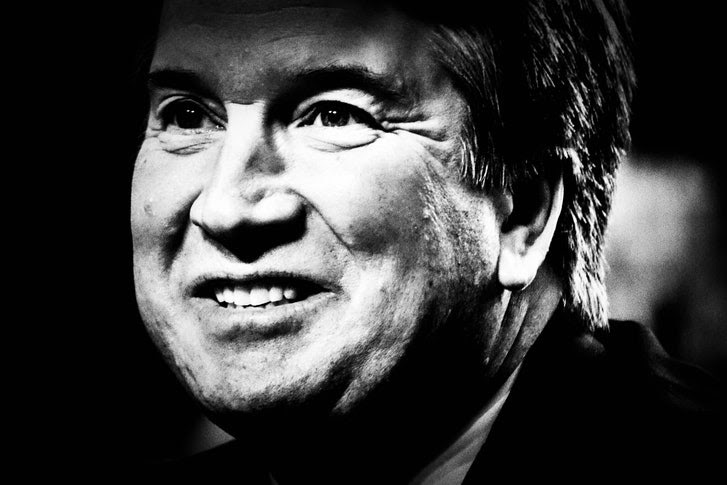 We will find out this week, as the Kavanaugh hearings proceed, how near that future might be.